WordPress isn’t just for blogging, it’s a powerful content management system ideal for building professional business and CMS websites. What does your company website say about your corporation? Does it show that you really don’t care how your website looks? corporate WordPress Themes are best premium templates for your Business websites. It’s professional designs helps you to reach out to your customers. 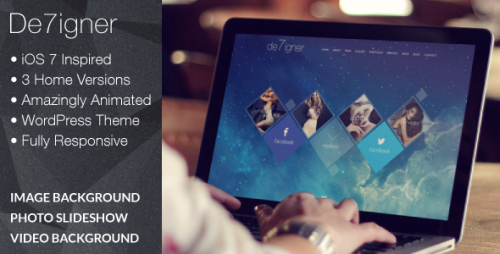 Today we would like to show you 25 of the best premium themes for corporate websites. Choosing the right WordPress corporate themes that will fit to your style and specific needs is not that hard, yet sometimes due to the sheer amount of WordPress themes for businesses it is hard to pick the right one. I hope, you will definitely love these themes. 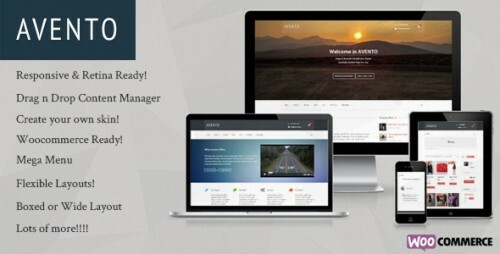 Take a look and give your website professional look with one of the following theme. If you like this effort then don’t forget to take a look on other articles: Amazing Portfolio Websites for 2014, Free Music WordPress Themes, Best Responsive WordPress Themes and Responsive Design Widgets for WordPress. Custom Checkout Progress Bar, one click to activate or deactivate this features. Unlimited Sidebars, assign to each page, post, portfolio and product. Sticky menu bar, one click to activate or deactivate this features. Florida is a Responsive, Retina-Ready WordPress theme with a minimalist, simple, elegant and clean style, a strong focus on contents and readability. It presents a modern business solution. 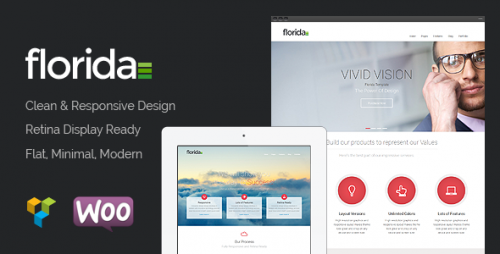 Florida is suitable for multipurpose websites such as business, company, portfolio or blog. 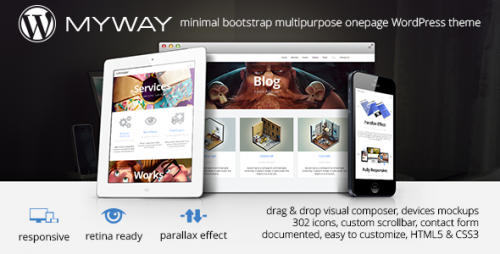 Fully responsive, Based on Twitter Bootstrap framework. Styles manager – 1 click style change for many major elements. Sample content and admin panel import/export mechanism. Completely revised detailed documentation. 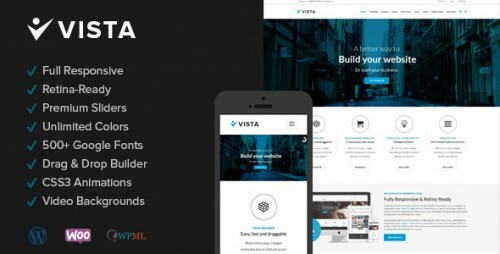 Vista is a responsive WordPress Theme (try resizing your browser), suited for business websites and users who want to showcase their work on a neat portfolio site. 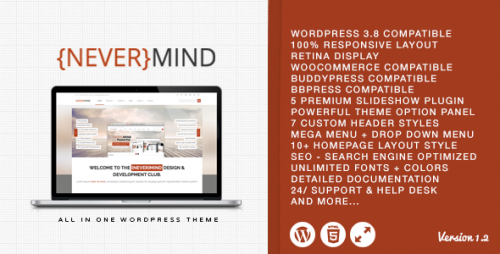 The NEVEMIND is a brand new responsive & retina display Multi Purpose WordPress Theme. It’s fresh & modern look with friendly features will make your website a standout. 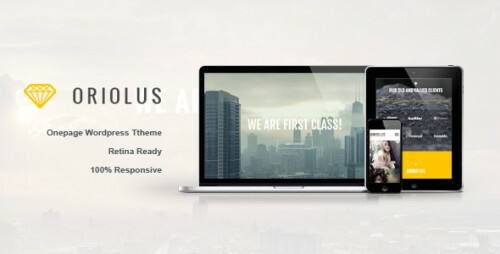 Optimas is a cross browser compatible, retina ready, responsive WordPress theme with clean design that suitable for wide variety of websites such as corporate, business and many more. 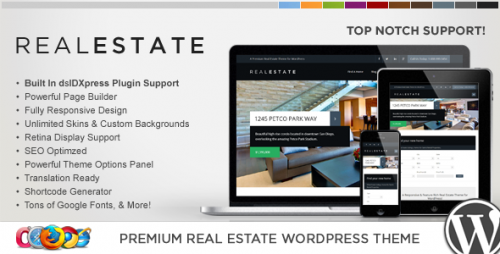 WP Pro Real Estate 6 is one of the most powerful real estate WordPress themes purpose built to showcase your listings, loaded with features & beautifully designed! Velocity theme layout with modern design elements like a sticky header, parallax image / video backgrounds, full-width elements, and more, with rock solid state of the art technology. Future is a clean, creative, feature-rich and powerful HTML5 multipurpose WordPress Theme that is perfect for creative agencies, creative portfolios, freelancers or for any purpose. 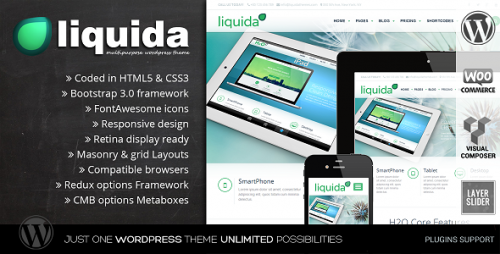 Liquida is a clean, powerfull & multipurpose wordpress theme that can be used to build professional and modern websites. You can set your colors, change fonts, background patterns & the layouts in different pages. 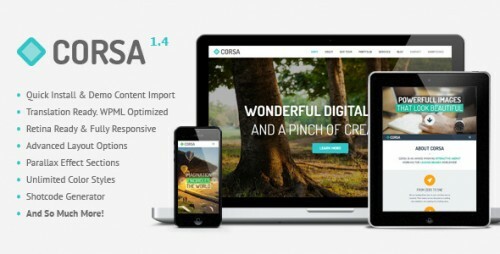 Corsa is modern professional and flexible one page parallax WordPress theme, developed with great attention to details. 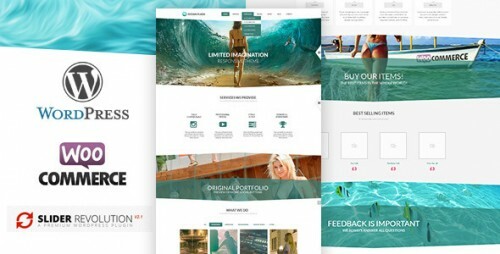 Theme can be used for any type of website: business, corporate, portfolio, products, marketing, etc. 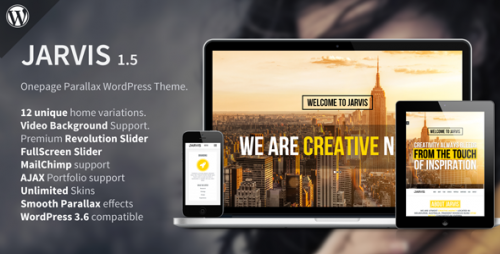 Jarvis is the perfect one page parallax WordPress theme for corporate, agency, nonprofit, freelancer or general business. 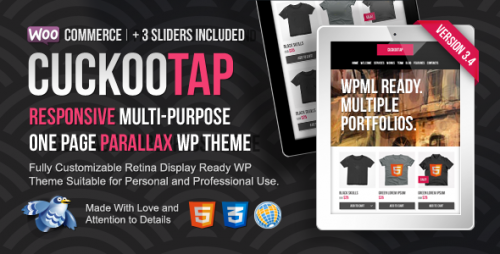 Fully Responsive, Fully Customizable, WooCommerce Ready, Retina Display Ready Multi-Purpose Single Page Parallax WordPress Theme Suitable for Personal and Professional Use. 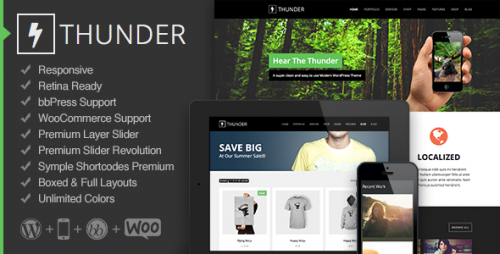 Thunder is a modern and flexible professional WordPress Theme. 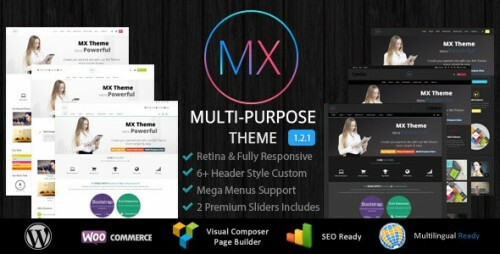 This easy to use theme is responsive, retina ready, and includes over 150+ theme options, 30+ shortcodes with hundreds of customizations, 7 custom post types, and 8 page templates with 3 page layouts. 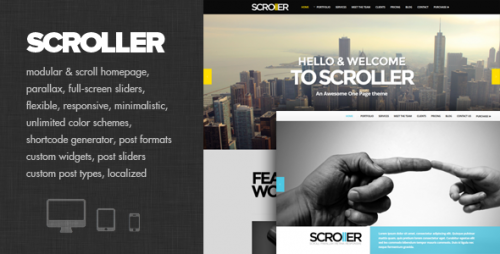 Scroller is clean, minimalistic and elegant WordPress theme with fully responsive layout. Theme is suited for all photographers, creative, business and portfolio websites. Mercurial is the simplest way to build your new website fast and easy! With its pre-made custom shortcodes, you will be able to create beautiful typographic effects. 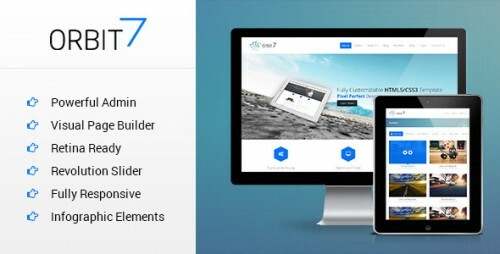 De7igner is the ultimate and professional way for you to present your portfolio or the very best starting point for your own corporate website. Lana is a one page, responsive, WordPress theme, based fully on the bootstrap 3 grid.A simple yet highly configurable WordPress Theme with multiple logos to choose from, 2 menus (one with icons and one simple) and a blog section with and withouth sidebar. 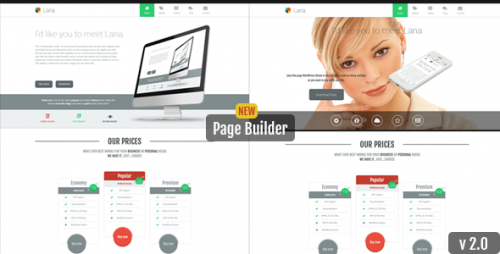 Ego is a sleek, fully responsive, onepage WordPress theme that screams with attitude. It boasts a fullscreen slider with custom captions, an AJAX portfolio and contact form, a blog and tons of styling options. 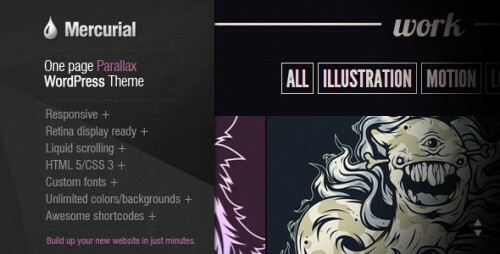 Theme is perfect for creative studios or small shops, an excellent site for your company or private website. Very easy to install and configure, quite simply customize your design. Parasponsive Corporate – this is an old trusted template, but with the new direction of development. It does not WooCommerce, but only that which is necessary for companies or individuals.